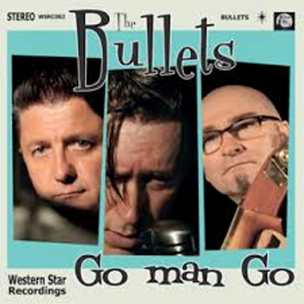 The Bullets confess their love for unconventional tales with latest album ‘Go Man Go’. 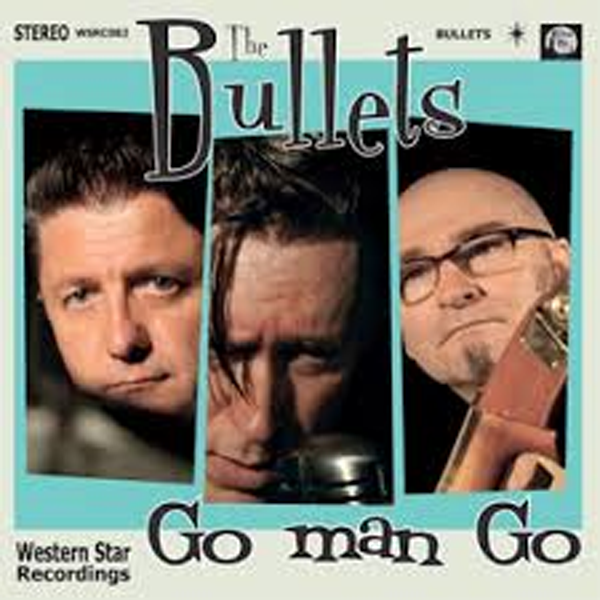 While not quite taking the magical mystery bus just yet when it comes to dabbling with experimentation, The Bullets sophomore album ‘Go Man Go’ followed a similar formula to its rockin’ predecessor ‘Sons of The Gun’, only this time around more steel was added to its interior, the narratives became darker and the lip curling snarl certainly got bigger. 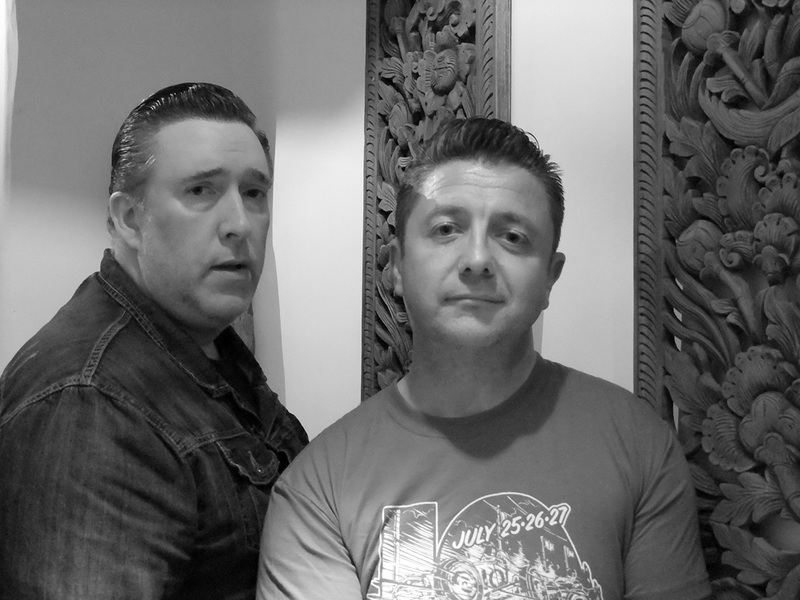 The increased robustness, darker edges and brashness of attitude has not gone unnoticed as the trio comprising of Brett Waters (vocals/guitar), Gary Griffin (drums) and Tony Nihill (bass) have been on the receiving end of some very high praise from a variety of music publications, as well as experiencing a growing popularity that has seen the band bring down the house at this year’s Hotrod Hayride and live dates scheduled for Europe and the States next year. With Famous Last Words (FLW) being among those equally enamoured with The Bullets new long player (see our review last month), we took it upon ourselves to telegram an invite to the dynamic trio in order to obtain a track-by-track rundown of the components making up ‘Go Man Go’. The response was instantaneous with an agreed meeting to take place in Oslo with two thirds of The Bullets able to make the trip north, leaving Tony Nihill the odd man out due to work commitments. Despite Tony’s non-attendance, his fellow bandmates paid tribute to the songs penned by their bass player, as well as detailed accounts of their own contributions to ‘Go Man Go’. As a plate of biscuits is handed round and cups of tea made (how very rock ‘n’ roll! ), The Beatles ‘I Am The Walrus’ spins in the background and that unforgettable line, ‘I am the eggman, They are the eggmen, I am the walrus, Goo goo g’ joob’ seems even more significant somehow, the conversation flows with Brett revealing himself to be something of a film buff, waxing lyrical about his vast DVD collection back home whereas Gary confesses to owning approximately four films due to a lack of interest. Once the general discussion dies down after some considerable time and Gary passing on a second Bourbon biscuit due to being reminded of a now, regrettable pre-flight meal , it’s finally down to business and that being a look inside the contents of ‘Go Man Go’ seen through the eyes of two of its creators, Brett Waters and Gary Griffin. 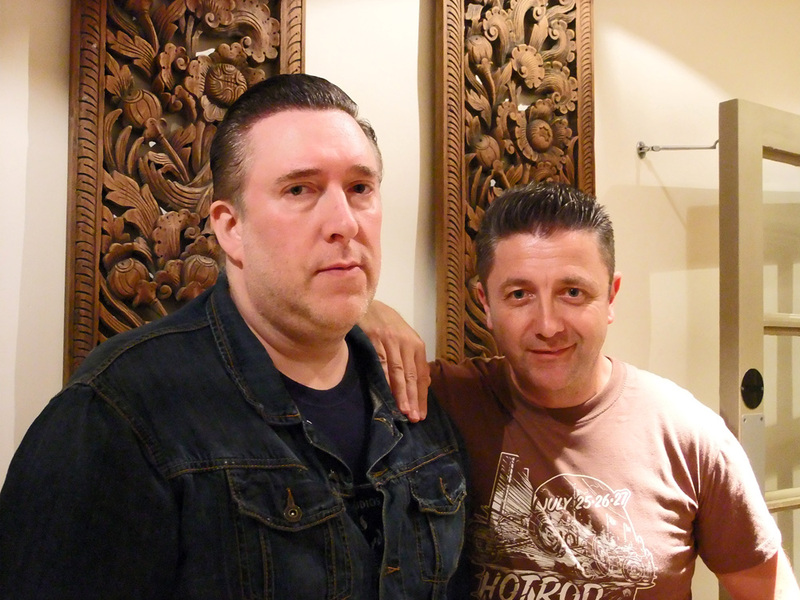 “I wanted to write a classic rockabilly song, but I didn’t want to try too hard,” explains Brett. “There’s a rockabilly song called ‘Jeopardy’ by Jean Shepard and it contains the line, ‘Jeopardy, Jeopardy, Just got to have you next to me, You put a voodoo hex on me, And now my heart’s in jeopardy’ and I thought that was a brilliant idea for a song. So I wrote it in about three minutes, as some of the best songs that we’ve written are often our quickest. The song itself is about a guy who has left his ex-wife who, in return, took all of his money and didn’t give the ring back. As a result, the guy feels as if she has put a hex on him because he doesn’t feel very well and every time he turns around she is there smiling,” he finishes with a broad smile. “You see what I mean? You added another level to that song, and I wrote the lyric!” reacts Gary with a mixture of glee and concern regarding Brett’s interpretation of the song. “But really, I’m worried about what is going on in your mind!” he finishes with a slightly nervous laugh. “But it’s true though, boy meets girl, boy goes out with girl, boy falls out with girl and then, in extreme circumstances, girl dies. What I’m trying to say is that there are only so many places you can go with that theme regarding love and relationships because it’s all been done so many times before. 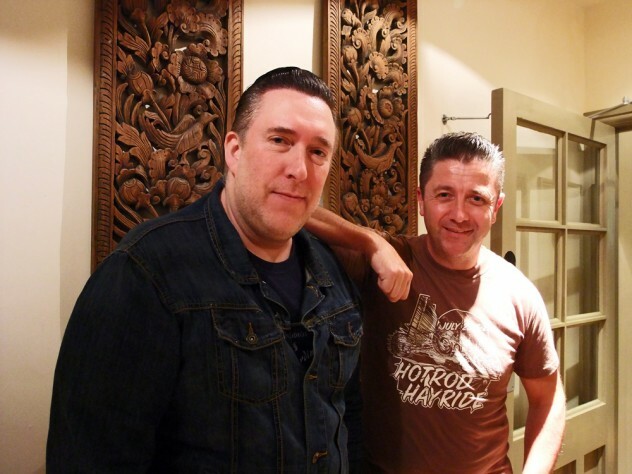 Therefore, by trying to explore different avenues is hopefully refreshing for the people listening to our music, as it’s certainly refreshing for us as songwriters,” explains Gary passionately. “The original idea Tony had for the song had been far too upbeat. Therefore, we decided that we shouldn’t be singing it in that way and that a little bit of darkness wouldn’t sound out of place, but not with it becoming too dark,” says Brett. “Not really, no, apart from taking a couple of verses out because it was a very long song originally,” adds Brett. “The sense of space and the relaxed tone and slight jazzy feel to the song was all Tony’s ideas; therefore, all we really did was elaborate further on Tony’s demo,” explains Gary. “I did the same sort of thing because a lot of my drumming sounds as if I’m attacking somebody rather than playing drums! So for me to actually be playing with brushes and sounding smooth and relaxed was actually great fun! Also, it was great texture for the album, as well as great texture for us as musicians, and it really pushed us,” remembers Gary. 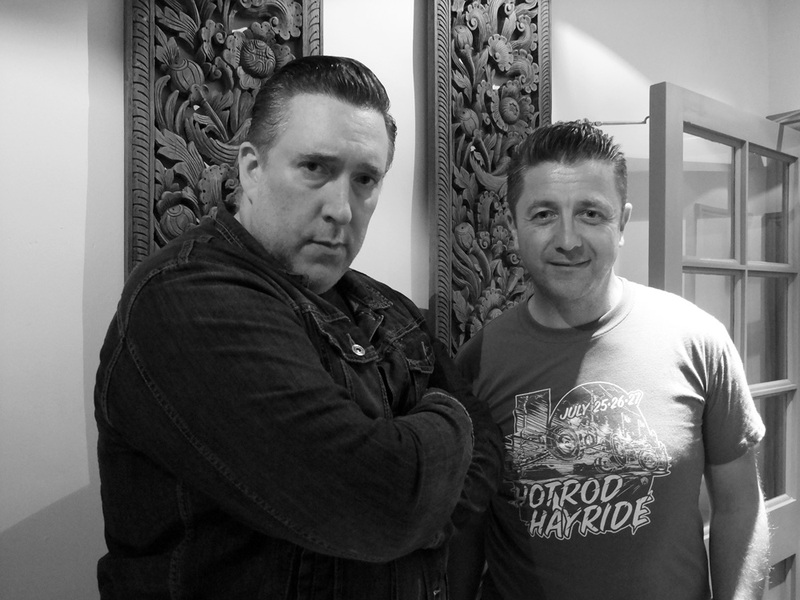 “It’s got a real edge to it as it’s dark with quite a grungy type of sound, which is nice because it complements the other tracks on the album,” agrees Gary regarding the song’s slightly different nature. “In fact, Tony’s original idea inspired all of us to write a completely different style of song, with different lyrics and because Tony had that [initial] idea that we didn’t want to use, that whole process then inspired us to write a new song that we did want to use,” comments Brett. By trying to explore different avenues is hopefully refreshing for the people listening to our music, as it's certainly refreshing for us as songwriters." What were the decisions for the album title and artwork for ‘Go Man Go’?